Pop the cork on your warm weather looks. 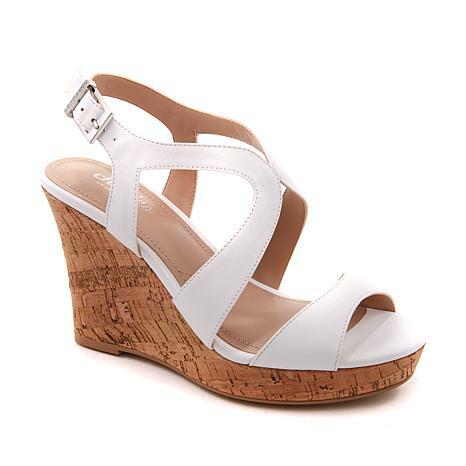 These platform wedge sandals get the season of barbecues and seaside vacations started with comfort and style. I love my shoes they are so beautiful. Great height, Awesome Fit and Very Pretty on the foot! I bought 3 colors and they are all great! Yellow is a must- have for a cute pop of color. Ready for Spring and Summer! These were very pretty but not at all comfortable. The strap was too short and the material across the tow was cut too narrow and tight. Rubbed against the toes. Not on my feet...They hurt them so bad! The buckles are weird, the straps left a blister on my left foot. Sorry, but after 2 hrs of wearing I couldn't wait to take them off. Back they will go! I bought the lavender and turquoise and the colors are beautiful, but they are too wide for my feet. 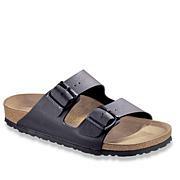 Also, on the turquoise pair, the right sandal had the buckle on the INSIDE of the shoe instead of the outside? The left shoe had the buckle on the outside like it's supposed to be. Someone messed up on the quality control portion. Both pairs are going back.